Pinocchio Child Care was founded in 2002 in Chicago and is a family owned business. We are state- licensed day care center by Department of Children and Family Services and can enroll 80 children. Enrollment is open to children from 2 to 6 years old. 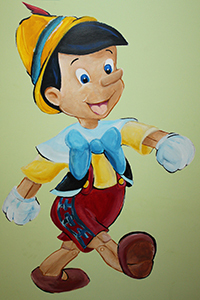 Pinocchio Child Care is open from 6:30 AM to 6:30 PM, Monday through Friday, twelve months a year. Children may be enrolled at any time during the year. Day care is closed on legal holidays. We employ experienced Early Childhood Teachers, who recognize each child as an individual. They will challenge, stimulate, encourage, and always promote a positive self-esteem. Open and continuous communication between home and teachers is an important part of our program. Teachers and Director have valid CPR and First Aid Certificates.